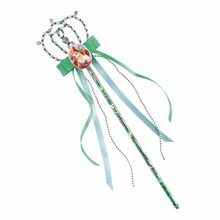 Complete your Disney princess costume with this Cinderella Wand featuring blue and silver ribbon deatiling, bead detailing and Cinderella character emblem. 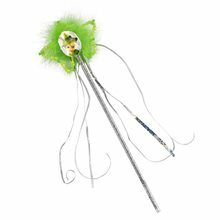 Complete your Tinker Bell costume with this Tinker Bell Wand the wand features a Tinker Bell emblem with silver ribbon and green star with green bead detailing. 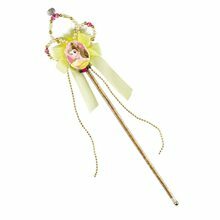 Snow White Wand Perfect for the birthday parties and dress up parties. 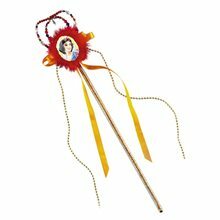 This Disney Snow white wand is the perfect accessory to complete you Snow White Costume. The jeweled wand with snow white cameo, red marabou trim and gold streamers is the highlights of the wand. Harry Potter Wand.Includes: One Harry Potter Wand. *Costume and Accessories Not Included. Sold Separately. A must have for your Harry Potter costume. 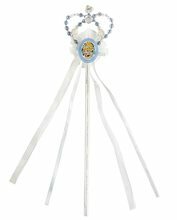 This wand is a licensed Harry Potter item, perfect for a Hogwarts student of any age. Complete your Harry Potter costume for Halloween or a movie premiere with this Harry Potter Wand.This is an Officially Licensed Harry Potter Product. Harry Potter Wand with Light and Sound.Includes: One Harry Potter Wand with Light and Sound. *Batteries, Costume and Accessories Not Included. Sold Separately. I swear I don't know. One second the glass was there and the next it was gone. It was like magic. 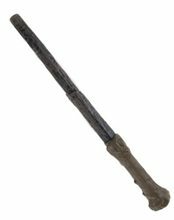 This Harry Potter deluxe wand is great for costume parties or just use it for spells around the house. Wand features light and sound. Motion activiated. Perfect compliment to your Potter robe. Magic Wand.Includes: One Magic Wand. *Costume and Accessories Not Included. Sold Separately. This magic wand can be used as an accessory with any of your favorite magician costumes. 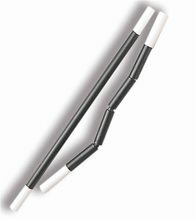 Conjure up some fun at your child's party with our black and white magic wands! Our magic wands are perfect for magic or Harry Potter parties. Kids perform tricks like real magicians with the wave of their wand and some hocus pocus! 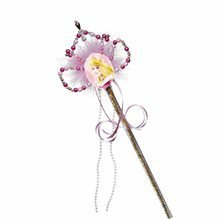 Silver Sequined Wand;The attention to detail and quality of material used in manufacturing each product make this beautiful line even more attractive. 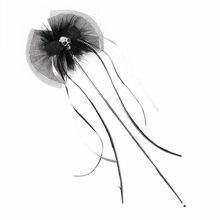 The line of the product is designed by skilled and experienced costume designers and is then manufactured by a team of leading professional tailors.